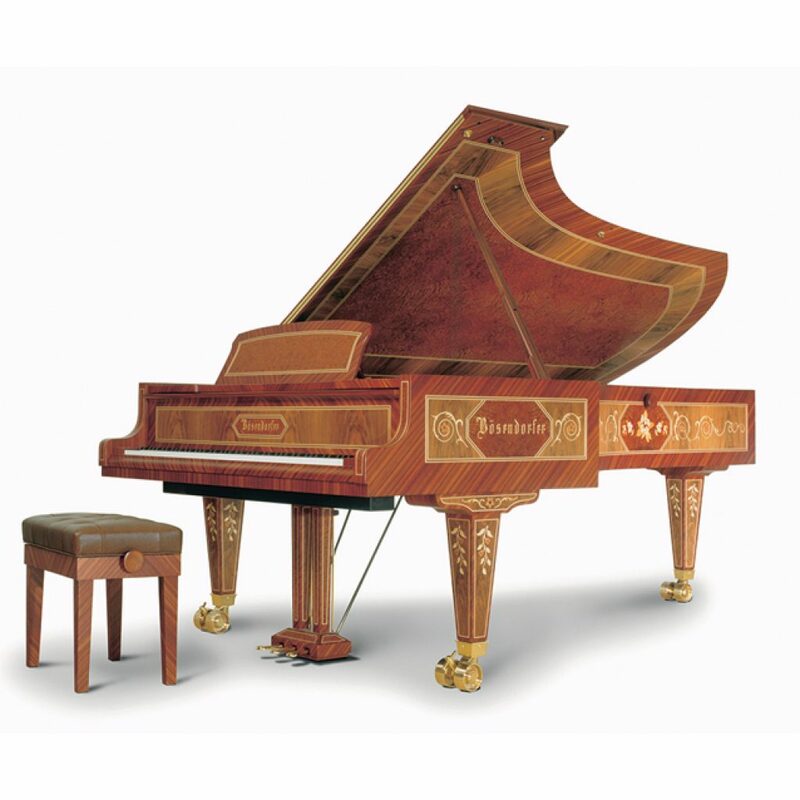 The Bösendorfer Artisan model, a stunning display of fine hand inlay techniques, is a beautiful work of art even before a single note has been played. As long ago as the second millennium BC, inlaid work featuring geometric and figurative designs was produced in the Orient as facing for very special objects. The design hallmark of the Artisan is its discreet floral ornamentation worked – by hand, of course – with a variety of excellent woods such as walnut, maple, pear-wood, cherry-wood, mahogany, aruba and burr amboyna. For as long as anyone can remember, creative minds in all walks of life have grappled with art’s great mystery and the question of what makes art art? 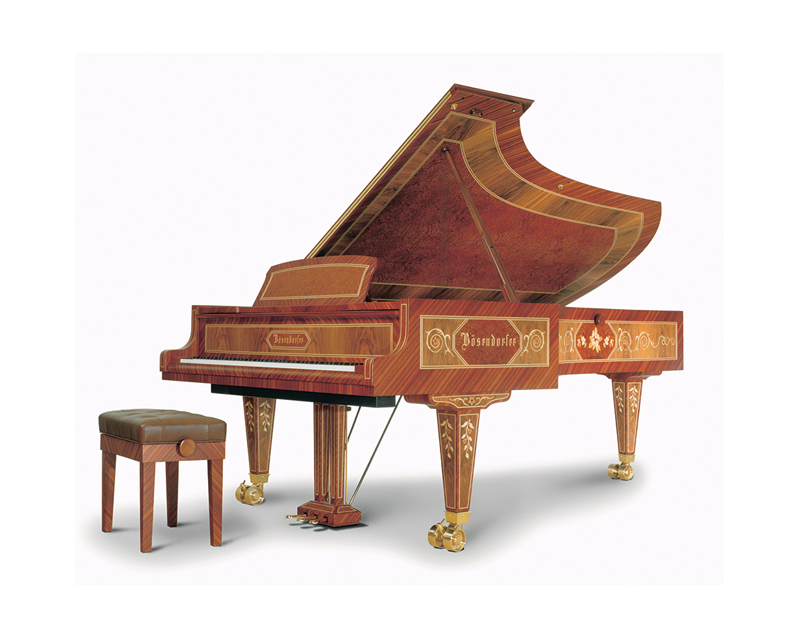 The Bösendorfer Artisan model could – by its very name – symbolise the quest for the great mystery of art.